Tanner Transmissions® Free Transguard Check™ can get to the root of any clutch problem. The clutch slipping is a common symptom of a failing clutch. The power from the engine is not fully transferred to the wheels of your vehicle. The best thing to do if your clutch is slipping is to take it to your nearest Tanner Transmissions™ location and have a Transguard Check™ performed. The slipping in your clutch could mean it is worn, or needs adjustment. The Transguard Check™ performed on your vehicle will get to the root of what is happening with your clutch. We offer free towing along the Wasatch Front to the nearest Tanner Transmissions® location. 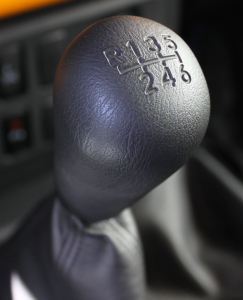 Clutch chatter is a noise or vibration when you engage the clutch of your vehicle. This is most likely an internal clutch problem. This is something that should be looked at by an expert. The best thing to do if you are experiencing clutch chatter is schedule a free Transguard Check™ at your nearest Tanner Transmissions® location. We offer free towing along the Wasatch Front to the nearest Tanner Transmissions® location. Clutch release problems are when your clutch release may be too long, or the clutch does not disengage properly. These are common problems. These types of problems can be happening due to several different causes. The best thing to do if you are experiencing any type of a clutch release problem is to schedule a free Transguard Check™ at your nearest Tanner Transmissions® location. We offer free towing along the Wasatch Front to the nearest Tanner Transmissions® location.